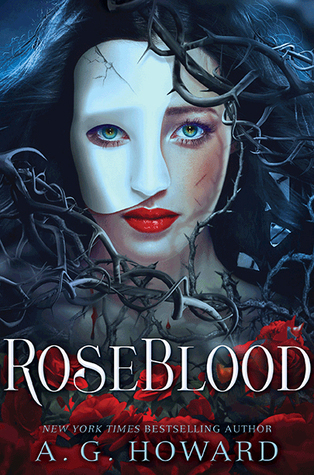 Roseblood by AG Howard takes you into the world of Phantom of the Opera again with an amazing new telling of the infamous Phantom. It starts with Rune being sent to Roseblood a prestigious school in France. This school is super competitive and very hard to get into. It is also rumored to be the place that the original Phantom had lived all those years ago and the story was wrote about (There are lots of references to the Phantom of the Opera by Pierre Lafitte this is not the same story if anything more of a continuation). Rune is a musical prodigy at least that is what it seems on the outside but not the same on the inside. She hates singing and when she hears a song (not all songs but ones that speak to her mainly opera) she has to sing it or it makes her physically sick. People get mesmerized by her voice. Her character is very hard to pinpoint throughout the book she grows so much. At times I want to smack her other times I just want to hug her. She is fighting her demons some she does not even know about. She is a unique character and has many traits that can be relate able but at the same time has the tortured soul persona . The supporting characters are fun and insightful you have all the classic cliche characters you would expect from a prestigious school. The prima dona , the scholarship student, the conflicting twins , etc. She does have other friends as well but really they are more just kind of background. I am thinking the names sound kind of familiar as well as some back story but can't place or maybe I feel there should be one that hasn't been published yet. Her friends at the school were fast friends and although some of the characters I didn't personally like doesn't mean they don't fit. The story is full of huge twist and turns and some shocks (Yes I said shocks). So if you like Splintered check this out. AG Howard has a way to continue classic stories and make them her own. Splintered was amazing and this one to me was too. Her books though seem to either be love or hated. For me I love her writing style. It is amazing and I hold on to every word. If you love Splintered you will love this. Rebecca Gibel is an amazing narrator she really gets you into the characters. She has unique voices for each character so easy to discern who is speaking. Her voice flows well with the characters. She also is clear and pleasant. I loved the way she narrated Splintered as well. Hi Everyone!!!! Welcome to the amazing wonderful Novel Nerd Reviews. This is a new site me and a couple friends are putting together to share our love of reading and get the chance to interact with different people. So lets start by telling you a bit about myself. I am from St Louis, MO I am an Analyst by day and a huge nerd by night. My love of reading started a long time ago in a kingdom far away called Middle School. It was an escape for things and it has carried me through forever more. I know pretty boring but it is the truth. An awesome perk to my job is the fact I can listen to audio books so a lot of my reviews will have some mention of audio book quality (not all but a lot). It keeps my job fun and makes me enjoy coming to work each day. Mainly I read YA just because I find them fun and easy to follow and not much into "Adult" books. I had an experience where I was listening to an audio book and they started going at it and right on cue my boss comes up and ask me question. It was awkward and even though they didn't know I swore never again. Some of my favorite series are Harry Potter, Hunger Games, The Hollows, and The Night Angel Trilogy. When not basking in the greatness of books and not working I love to talk nerdy in the chats. I am big into geekdom (TMNT are the best) so you can see me enjoying that awesomeness. I also love spending time with my family. So Welcome!! Enjoy!!! and It is going to be interesting. Maggie here. How is everyone? This is a new site to me, and can't wait to get started. The first book that I will be reviewing will be Mind, The Beginning by Jenn Nixon. I will be back hopefully tomorrow with the review for her book. I read all types of books, so look out. 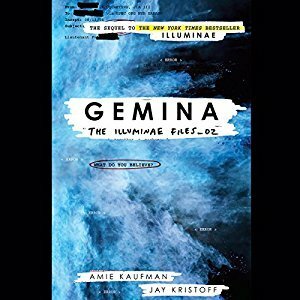 If you want me to review a certain book, please leave a comment. While I can't promise that I will be able to fit it in, I will try my best too. I love reading all types of books. What got me started, you may ask, honestly when I was a senor in high school. I was an office runner and was walking around bored, and found the first Harry Potter book sitting on top the recycling bin in the cafeteria. When no one claimed it, it was all mine. Decided to give it a try, since I was bored, and fell in love. I hated reading before that. Now I can't seem to but books down. What about you? What book did you fall for that has soared your reading into the clouds? Let me know in the comments. Okay I think this is where I say goodbye for now, so I can go finish my book and come back and tell you about it.